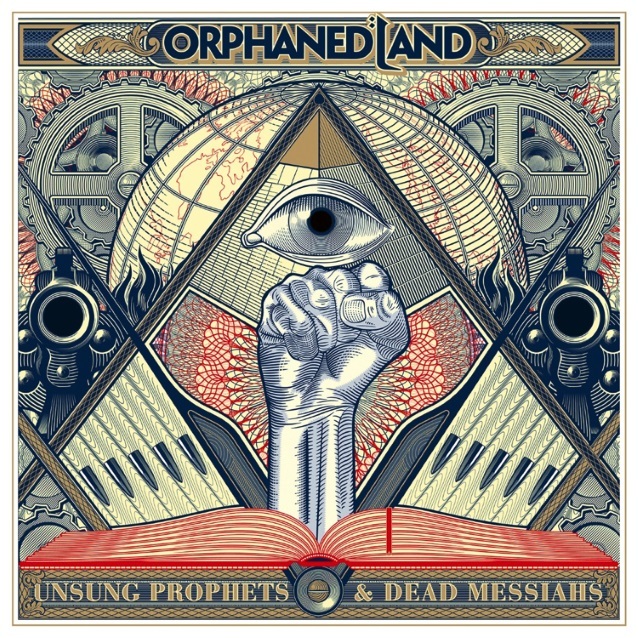 A track-by-track breakdown of "Unsung Prophets & Dead Messiahs", the new album from Israeli progressive folk metallers ORPHANED LAND, can be seen below. The disc was released on January 26 via Century Media. "Unsung Prophets & Dead Messiahs", which features artwork by Valnoir, was mixed and mastered by Jens Bogren. 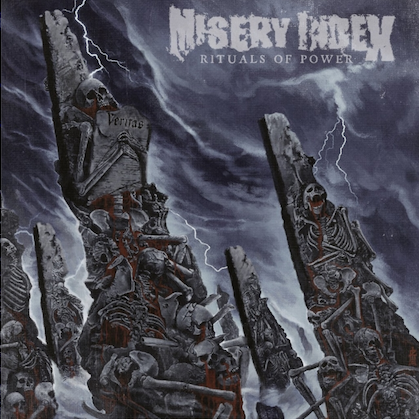 Its release will be followed by an extensive European tour with IN VAIN, SUBTERRANEAN MASQUERADE and AEVUM. 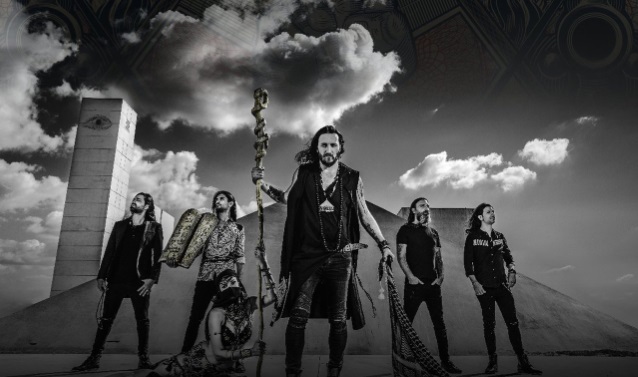 ORPHANED LAND vocalist Kobi Farhi told Loud TV about "Unsung Prophets & Dead Messiahs": "We are back to concept albums. Concept albums give you the opportunity to be diverse, progressive. This is the best way for us to do albums. I think that in this album, we wanted to make a combined album of [2013's] 'All Is One', which was more upfront, and the concept and progressive music of [2004's] 'Mabool' and [2010's] 'ORWarriOR'. We thought that if we make a combination of them, it will be the best ORPHANED LAND album [yet]. "You always need to find a way, how do you find a new concept after you did music for 26 years?" he continued. "I didn't know what to do. The band was already writing music, and they told me, 'Kobi, what's going on?' I was like, 'I don't know — I don't have it.' I need to find an inspiration and to find a story to be stronger than before. I don't want to repeat. I don't want 'All Is One II', or 'Mabool Number Two'. I want to find something new. So, looking at the world and finding the story of '[Allegory Of] The Cave' by Plato was my main inspiration, and it took me a while, but from the moment I found it, it was very fast and very quick and very intense work. Once I have the concept, we know how to fix the music in the album." In a separate interview with The Offering webzine, Farhi called "Unsung Prophets & Dead Messiahs" "a protest album, a very angry album that is based on the 'Allegory Of The Cave', which is something that was written by the Greek ancient philosopher Plato. He wrote this allegory as a story about the human behavior because the ancient Greeks, they killed the philosopher Socrates and Plato couldn't understand how they could kill such a guy who was a gift to humanity, how could they kill someone with the knowledge and wisdom," he said. "Then he figured out something about humanity's behavior, that they are living in a cave and they see shadows in the cave and these shadows are the only truths that they know and they don't want to leave the cave and anyone who will try to take them out of the cave, they will kill him. We took this an allegory of today's life. Every time that you see a revolutionary guy that came to humanity and tried to release them from the darkness, humanity has chosen to kill him. It could be Mahatma Gandhi for Indian people, or Martin Luther King [Jr. ] for Afro-Americans, or Che Guevara for South Americans and there are many, many more examples of revolutionary people being killed. We thought Plato is an ancient prophet in a way. He wrote this thing two-thousand five hundred years ago; this is like a prophecy. Those people who are revolutionaries, leaders, they are always ending up dead. They are like the dead messiahs in a way. This is a mirror to humanity to show them that we always blame religion or politicians, but it's the people who do not change. It's the people who prefer to stay in the darkness. 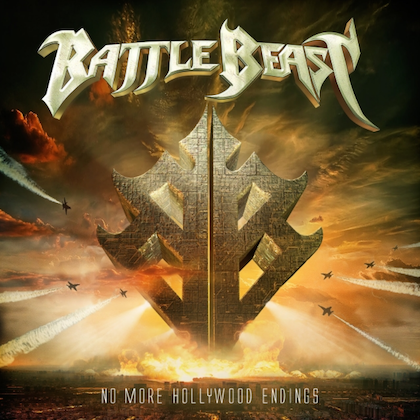 This is a concept album and a very big protest that we have about it."